A super-mom, super-cheerleader, and super-fan, call Beth Jones a symbol of the trail and ultrarunning family. While Beth may not be an ultrarunner herself, she is an essential part of our community. 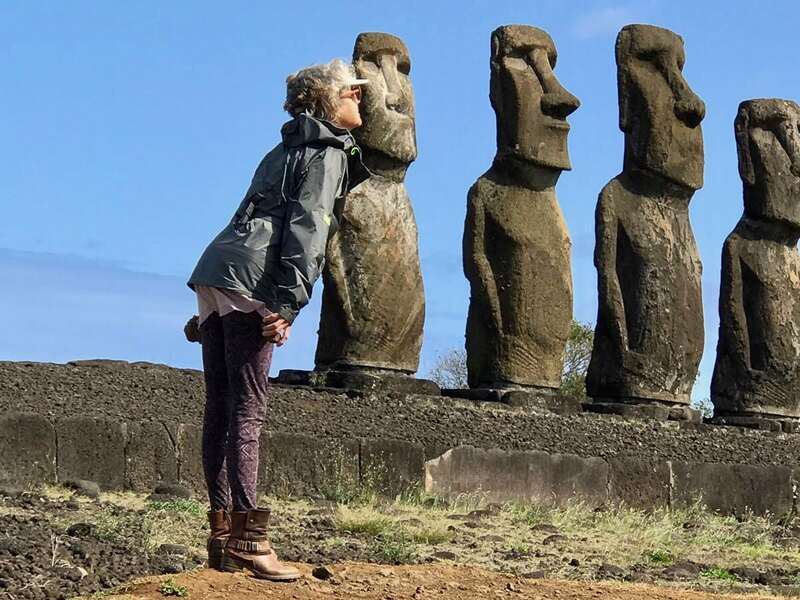 It means she’s the Mother Hen of many at ultramarathons and trail races, bustling around courses to make sure that both her loved ones and strangers alike are staying strong. It means she’s the Mrs. Incredible/Elastigirl of the ultrarunning community, opening her arms and home to all who need a place. She is the Mother Goose of running stories, jokes, and made-up cheers. She is the Mother Bear of protection, fighting for her family and friends. 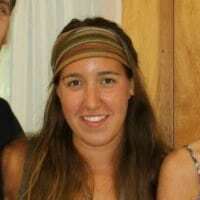 She is the actual mother of mountain runner Dakota Jones. She is a boisterous fan at races, a peaceful yogi in her free time, a mother to Dakota and Molly, a friend to many, and someone to know if you don’t already. Beth and Dakota Jones. All photos courtesy of the Jones family unless otherwise noted. Beth Jones was an Ohio-born gal who says she would rather live in a tent than return to the Midwest. After graduating from high school in Medina, Ohio, she headed to the East Coast where she worked as a waitress in Ocean Grove, New Jersey, a city close to Asbury Park, New Jersey where she once caught Bruce Springsteen playing in a bus depot before he became known as ‘The Boss.’ For a few summers, she lived in an old house that was converted into a dormitory before heading north to New York. There, she worked as a waitress and front-desk employee in a resort hotel. In 1979, she cut across the country and landed in Vail, Colorado, where she worked a bar job she disliked. 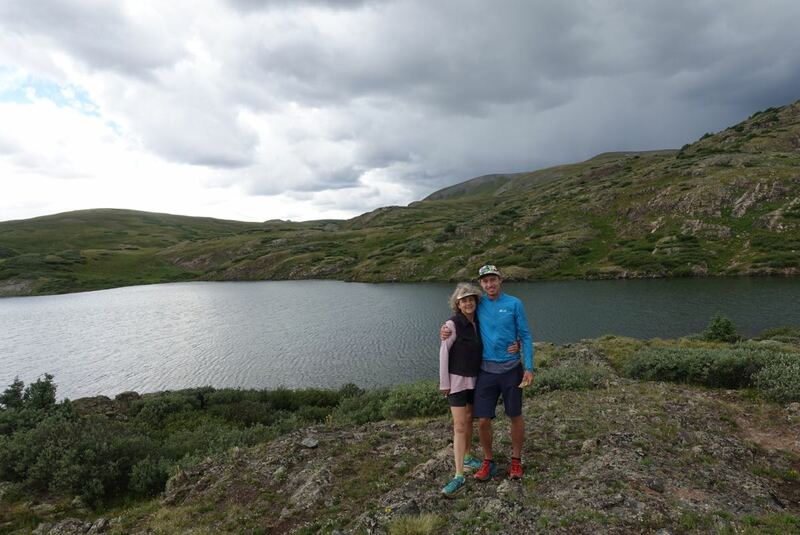 After another move to Boulder, Colorado, she fell in love with the mountains and the man who would become her husband, Steve Jones. As a chemical engineer, Steve’s career moved the couple to Moab, Utah and Beth decided to go back to school to get her bachelor’s degree in nursing. While pregnant with Molly, her first child, Beth attended college classes three days a week, studied in the library one day a week, and worked weekends in the hospital in Moab. Dakota was born three years later, giving Beth a favorite daughter and a favorite son, she said. Both children still live out west where Beth can see them often. In 2006, after Molly graduated from high school and Dakota had a few more years to go, the four-person Jones family moved to Durango, Colorado. Back then, running was not yet the diehard passion it now is for the Jones family. It was just one of the many ways the family recreated outside. Beth, too, was a self-proclaimed recreational runner. 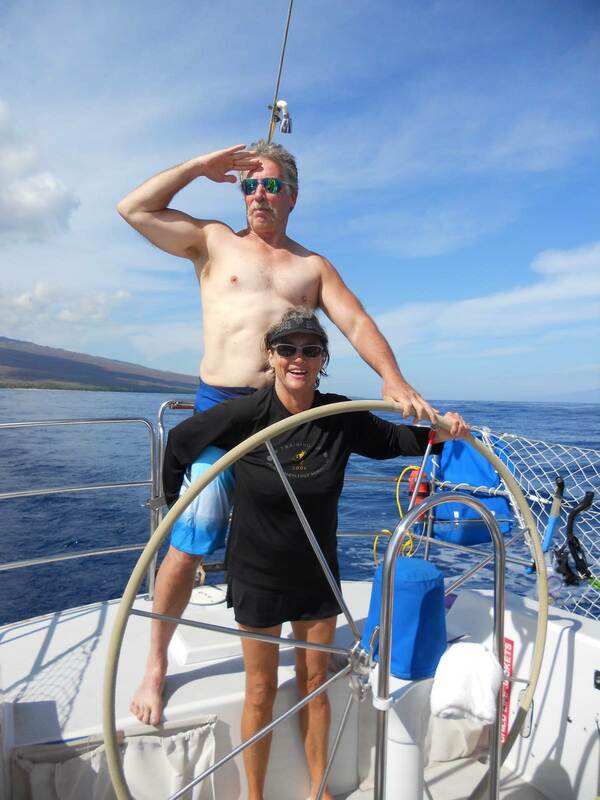 Steve and Beth Jones enjoying the water. At the time, Dakota was a football player and it was during football practice where he realized he may need to switch sports. The team of middle-school athletes would run up Moab’s ‘dump hill,’ a near two-mile run uphill and back down, for cross training. According to Beth, Dakota was up and back and resting in the shade completely cooled off by the time the rest of the kids got back. Beth told him that in football his scrawny body would be on the bench often, but in cross country, he could be pretty good. Later, in Durango, the assistant running coach Robin Halloran was running 50-mile races, and Dakota and the rest of the Jones family were introduced to the sport of ultrarunning. Beth was already used to the tricks and spills of BMX biking, which Dakota was pretty skilled at by the time he was in high school. As a parent, she explained, it is easy to worry about the safety issues of whatever a child is doing, whether it is taking jumps on a bike or running through the pitch black of night during a 100-mile race. Besides, worrying and fretting gets in the way of Beth’s main duty–cheering on her kids and friends. For Dakota and other running friends such as Brendan Trimboli and Anna Frost, ultrarunners who both reside at least part of the year in Durango, Beth is out there screaming, ringing cowbells, and making as much noise as she can during races. When Beth and her family pull up to a race, there are themed t-shirts, funny accessories, several cowbells, and a chorus of screams and cheers all day long. In the early years, Beth was at nearly all of Dakota’s races, along with other family members and her husband, Steve. In 2013, Steve lost his fight with lymphoma. During the period he was sick, Beth remained home by his side. 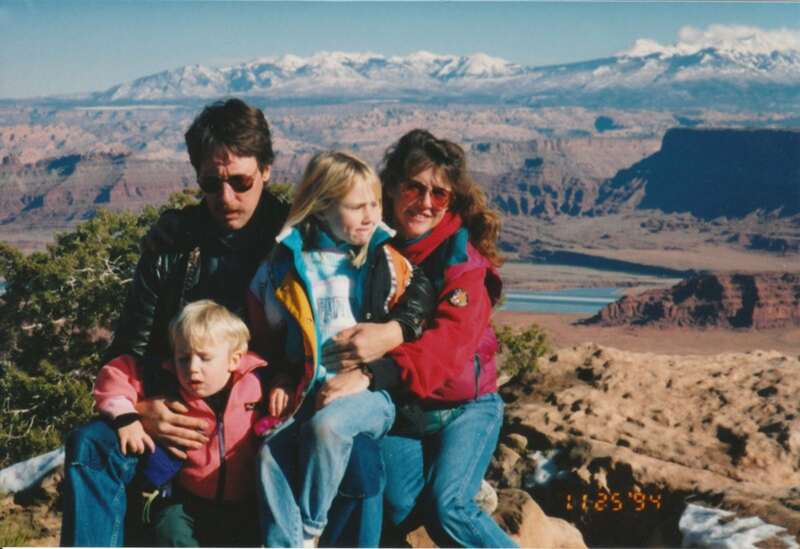 The Jones family in Moab, Utah in 1994. Now, when she attends a race, it makes the event that more special to her, and her family and friends. Take the recent Kendall Mountain Run in Silverton, Colorado, just a few weeks ago. As soon as Beth arrived, she hiked about 1.5 miles up the course to where an old boxcar was situated. Then she went up a few more switchbacks where she could see runners far below and above. With her iPhone video following Dakota’s bouncing head up the mountain, Beth was able to watch him run and cheer him on. After Dakota passed, Beth stayed in her prime spot and cheered on the rest of the runners as they headed up the mountain. Beth enjoys being there on the sidelines. She enjoys the atmosphere, the community, the friendships, and the camaraderie she is a part of. Even though she isn’t an trail runner or ultrarunner, Beth can sense the competition among friends but understands why it is such a unique sport. At some events, she parks herself in a chair under the shade with Joe Grant’s mom Heidi and the two mothers talk, tease their boys, and usually get in trouble by their runners for being too loud. What is also incredible is the number of the blisters on her fingers after a few hours with her cowbell. 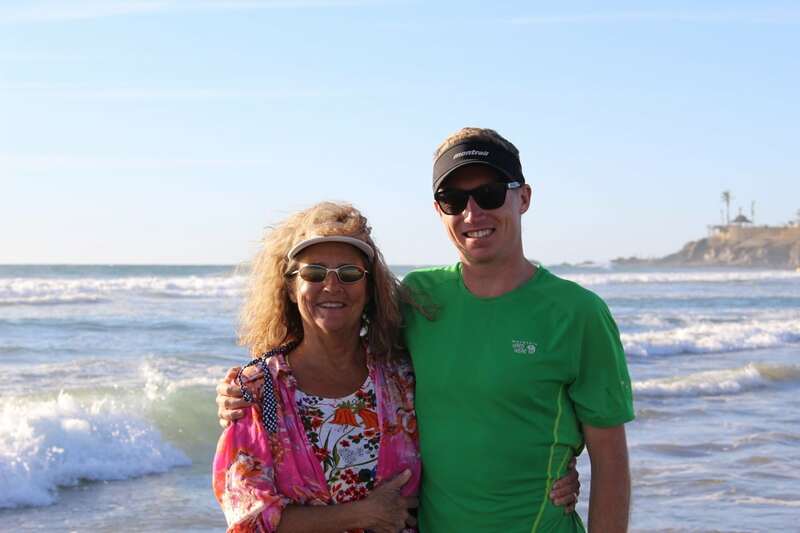 Beth has been crewing Dakota since he first started ultrarunning, following him around the races. Her favorite race to crew and watch? The Hardrock 100. For Beth, it is fun, fast, and another way be front and center and intimately involved in the entire race, she added. Dakota says that, as a nurse, his mom’s job is to take care of people, yet at these races and especially for his races, she understands that this is the type of pain she doesn’t need to help out with. “She understands that this sport will hurt,” he said. It was during Hardrock one year when Dakota came into the aid station, sat down, and put his head in his hands. “I just want my bed,” he moaned. “I said ‘Dude, you can have your bed, but you have to wait 12 miles and then I will drive you the block to your bed,’” she recalled. Hardrock has been a favorite race of Beth’s to watch since the family first found out about the sport. It is a favorite of Dakota’s, according to Beth, and it was the last race she and Steve crewed together for Dakota before he passed away. “I have a soft spot for it in my heart,” she said, and she returns to the race every year. This year, Hardrock coincided with the second day of the Telluride Yoga Festival, an event Beth also attends every year. 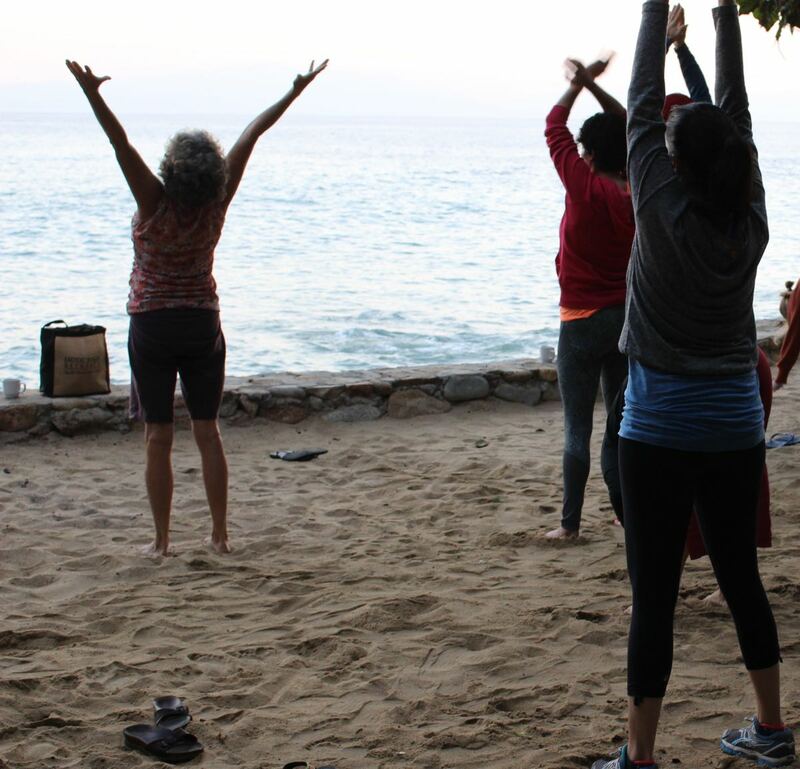 As a near-lifelong yogi, Beth looks forward to the festival all year long. 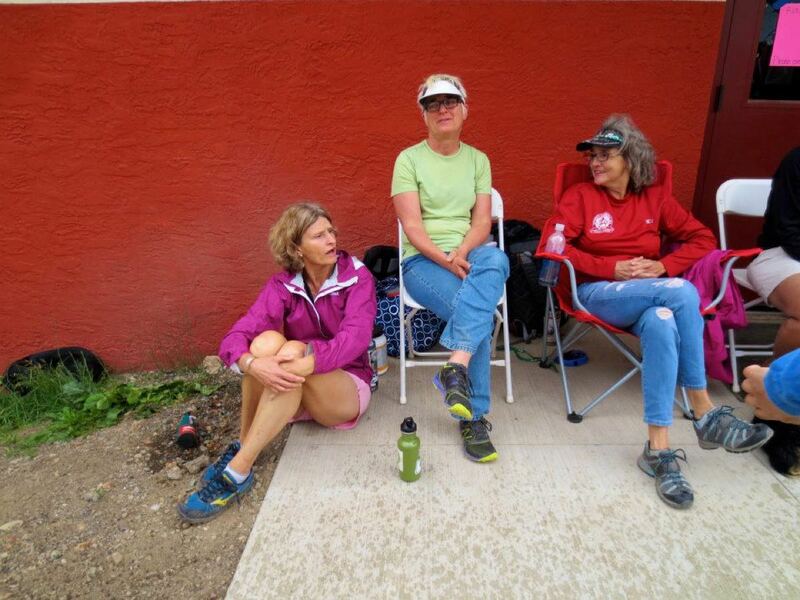 This year, after learning that her two passions were colliding, she cut all her afternoon yoga activities and instead grabbed her cowbell and headed to the park in Telluride to watch the top runners come through. Beth practicing another of her hobbies, yoga. As a spectator, she prefers to be everywhere–at the finish line, start line, up the mountain, or chatting with the race organizers and volunteers. At some races, she takes a bike and rides the final miles of the course back and forth to cheer for runners as they finish. At every race, she meets new friends and hangs out in camp chairs, talking with other runner moms and families. 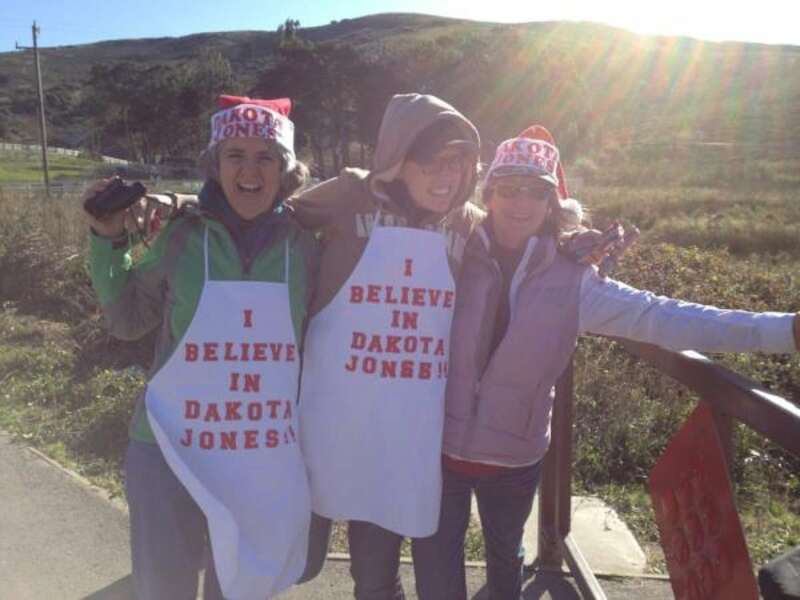 Most runners recognize her as Dakota’s mom, thanks to her loud and enthusiastic support of her son. But many also know her as a loving landlord. For the last several years, Beth has opened her house to runners traveling through who need a place to crash. For them, it is a warm, safe place to rest before a race, and for her, it is a chance to get to know more of these incredibly inspiring people. We all think of our mothers as superheroes. Moms are willing to protect us, care for us, drive around the mountains at 3 a.m. to crew us, and open their homes to our friends. Beth is one of those mothers who we can all look to for love, friendship, and guidance–sure, she’s a mother to Dakota, but she’s also something of a mother to us all. When Steve passed, Beth watched both her kids take off–one in his sport, the other in her business. They both became strong, successful adults. Steve wasn’t able to see that, which is part of why Beth stays so involved in her children’s lives. That is also part of why she keeps her house open to visitors of many kinds. And maybe even a little bit of why she crews and camps out for races with her son and friends. It is because Beth and others embrace an open definition of what it means to be family that Beth has become known as a mother to our community. Do you know Beth Jones? Has she cheered for you at a race? Can you share your Beth Jones story? Leave a comment to do so. Thanks! Beth sounds like a wonderful woman. No wonder Dakota is so well liked – great job Beth. Excellent article Jessica. The crazy, enthusiastic cowbell ringing lady cheering me on at Kendall Mountain Run a few weeks ago certainly put a smile on my face and made me want to run faster! I didn’t know who she was at the time, but I appreciated her encouragement. Her outgoing support for her son and everyone in the race reminded me of my awesome, noisy-cheering, supportive mom who passed in 2012. Thanks Beth for being a mom to us all at Kendall! Tuve la oportunidad de conocerla en La Luz Trail Run 2018 en Albuquerque, NM el 5 de agosto cuando fui a felicitar a Dakota Jones por su triunfo, y aunque no habla español me saludo con mucha amabilidad. Irradia sencilles y buena vibra solo al verla.